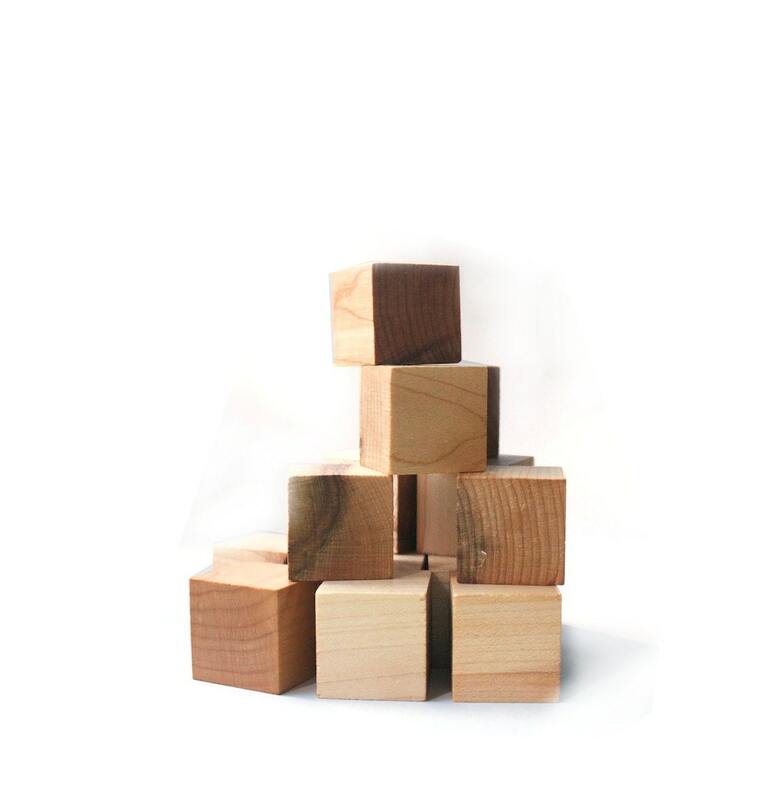 Made from untreated maple from Maine, our set of locally sourced building blocks are a wonderful addition to your child's toy collection. Our blocks are cut to 1" squares and are sanded smooth, then sealed with our locally sourced, homemade beeswax sealer and come with a cotton muslin storage bag for easy clean up. These beautiful blocks are heirloom quality and are great for babies through big kids. This listing is for a set of 15 blocks. Want a larger quantity? Send me a message and we can set up a custom listing for you! No ink, no chemicals, no toxins, no dies--all natural for your little one.